It’s the time of year when the most miraculous birth in history is celebrated, so here’s another miracle baby story about Keira Young, who is now a happy six year old. Keira was a mere 2lb when she was born at just 28 weeks. It was a first pregnancy for her mother, Caroline, a pharmacist, who was not expecting her waters to break suddenly when she went for a routine 27 week scan. She was rushed to Kingston Hospital where, five days later on 21 June, Keira was born in breach position at 3am. In fact brother Aaron arrived just 19 months later and gave his parents more drama; although weighing 9lbs, he was born by emergency caesarian and has speech challenges. The reason for Keira’s late dedication is that her parents only married in June after Lloyd had become a Christian. He already had two children from a previous relationship, but some time after it ended was introduced online to Caroline via a friend. He sent a message telling her that her photo was “stunning”. When he wanted to baptise the children, he was told, in his words, that he and Caroline were “living in sin”, so a wedding swiftly followed. 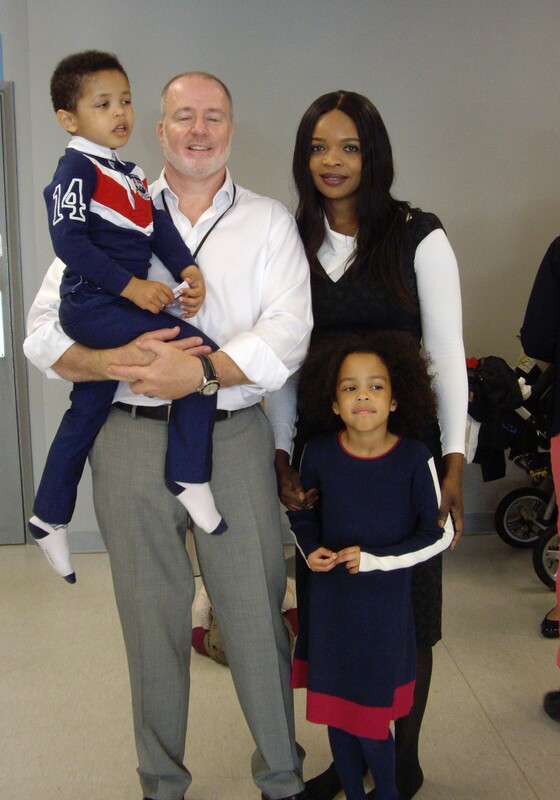 They are now a happy family and are certainly not the first or last parents to have found their way from a ‘modern’ lifestyle to a traditional, settled one in godly order.